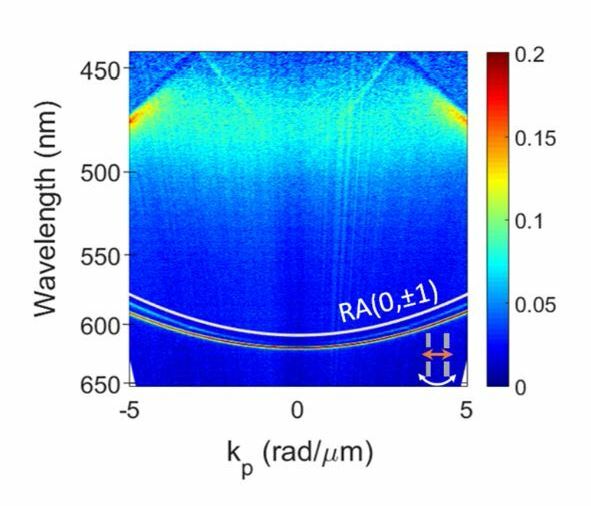 We investigate experimentally and numerically two-dimensional arrays of silver nanoparticles and show how the Q-factor of collective plasmonic resonances critically depends on the quality of the metal film, the detuning between diffraction orders and localized resonances and the absorption of adhesive layer used between the substrate and the metallic nanoparticles. These silver nanoparticle arrays can achieve Q-factors higher than 330 in the visible. This extraordinarily high Q-factors could be increased to values above 1500 if no adhesive layer is used. Read more in Enhanced quality factors of surface lattice resonances in plasmonic arrays of nanoparticles.